This resource is in Spanish. It is 29 pages. 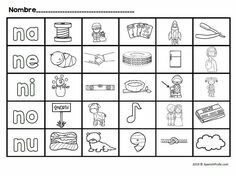 This product was created for students in Kindergarten, first and second-grade Spanish immersion, Dual language and bilingual classrooms. 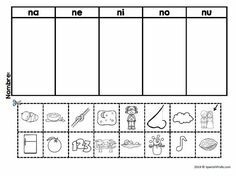 Ideal to use when learning different strategies to use during reader’s workshop, writing or Daily 5. 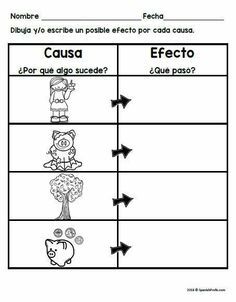 This resource includes a wide variety of activities, writing prompts puzzles and more to teacher cause and effect in Spanish to your students.